Our family is in a huge transition right now. 11 weeks ago we moved in temporarily with my mother after selling our house before we could move into our new one. I knew there would probably be set backs in all areas of my 2 year old’s life. Our routines are different and the dynamic with extra adults around has changed mealtimes in particular. I have always considered my nearly 3 year old’s eating to be pretty good. However, since we have been in this state of limbo and I have been managing more difficult behaviors in other areas (aka pooping in his underwear), I have let his eating slowly decline. It’s not like I didn’t see it happening slowly, but I kept telling myself, “It will be better when we move into our new house. We will get back to our routine.” I was hoping we would be moving in 2 weeks. Now it is pretty certain that it will be another 4-6 weeks. I decided, finally, that his eating needed addressed now, it couldn’t wait any longer. I wanted to share with you some of the strategies that helped me rope his eating back in– quickly! Some of these strategies I have discussed before and some are quick tips to get you thinking. More than anything, I want you to get a feel for how I problem solve through feeding challenges at my table, in the hopes that you can apply some of the same strategies at your table. The first step in getting Sam’s eating back on track was to come up with a game plan and get my husband on the same page. Obviously, he totally follows my lead in this department, but it’s really important that I communicate with him exactly how we are going to proceed. Since my mom is a big part of mealtimes, I had a talk with her too. I had to think– what had really changed? I was still giving a preferred food at meals, spacing meals 3 hours apart, and serving a variety of foods (see Basic Strategies for more on this). Yet, he was getting so particular about what he was eating and playing with his food more than he was eating it. Once I reflected on his eating, I was able to focus on a few strategies in particular, I have outlined them for you below. The biggest strategy I had forgotten lately is Cooking with Your Kid– Umm, Hello! If you follow this blog you know that I talk about this all the time and have written many posts on cooking with Sam. It has gotten him interested in many new foods! So, first step in my game plan: Get Sam cooking again. Last night we made tacos and after cooking together, he ate tomatoes and turkey meat willingly, which are foods he has been refusing lately! Since I am fairly sure that the stress of this tranisition and temporary housing is having an affect on Sam, I needed to address why he may be acting out at meals. Was the meal really the problem? Was he getting enough attention? 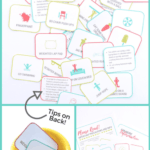 A few nights ago I watched a webinar on Positive Parenting Solutions hosted by Creative with Kids (by the way, there is a ton of wonderful posts on positive parenting over there). It was a wonderful reminder for me that I need to really make sure that Sam is getting specific attention on a daily basis. I have been going out of my way to make sure that I am engaged with him, trying to put my agenda aside and really be present throughout the day. It is hard, but I am cutting way back on multi-tasking. By the way, the cooking time that we shared accomplished this plus it gave him a sense of purpose in our family. It is important for kids to feel like they are contributing to the family. Sam has announced at a few meals recently, “I’m all done.” It caught me off guard initially. I’m not going to get into a power struggle here, so I let him be all done, even if it was only a few minutes after the meal begun. BUT, I told him that there was no food until the next meal. Each time I make sure that he has heard me and make him repeat it back to me. I fully intended to follow through. The few times he tried this, he came back within less than 5 minutes and asked to finish his meal. You know what? He did! I wouldn’t have let him do this if a longer amount of time had passed. I know that his little brain needed a minute or two to process what had happened. Heating up food. A couple of quick seconds in the microwave can make the food a lot more palatable. Cut it up or give a big piece. I change up whatever way I originally presented it. Today I gave him a meatball cut in half, thinking he would like to take bites off or cut it himself. After seeing he wasn’t eating them. I asked, “Would you like me to cut them into small pieces?” I did, and he ate 4-5 pieces. I was content with that. Sprinkle a little Parmesan cheese, garlic salt, or parsley on the food. I only use a miniscule amount, but Sam thinks it is special and will often dig in. Give a different utensil. I might say, “Oh, would you like your digger fork, instead, to eat those meatballs?” This works more often than you would think. Add a sauce, dip, or liquid. Sometimes I mix more milk in the homemade mac and cheese or add some chicken broth to the rice. I let my kids see me do this and then re-present. Often, they see that has changed and you have engaged them a little so they may be more willing to give it a try. Also, think of offering dips or more sauce. At the top of this post I shared that our family was in transition, and in this instance I think that is part of the reason for the decline in Sam’s eating. BUT, it is very typical for kid’s eating to go up and down over days, weeks, and months. They go in and out of phases. The important thing is that WE stay consistent. The times when their eating goes down hill a little, use some of these strategies to get things back on track! Help! My 3 1/2 year old was refusing to eat vegetables a few months ago and we thought we were doing the right thing by telling him no dessert if he didn’t eat his vegetables. It worked well at first but now it’s getting out of control. He’ll eat only his favorite (mac and cheese for example) and then repeatedly ask how many bites of vegetables/meat he has to eat to get dessert. Meal time was getting very long so we then set a time limit. This resulted in a few “no dessert” meals/meltdowns. How do we undo this?! We have a 5 month old boy as well and this all started around the time baby arrived. I totally get it and I know it’s so hard! I’d just go cold turkey and either skip dessert for a while or just let him have it without making it a reward. I have an article on picky eaters and dessert here that I think is just what you’re looking for! Oh that is so wonderful! Thanks for sharing that, you surely have your hands full! You have some great questions! First, I recommend using your best judgement if they aren’t eating anything else. At their age it could be helpful to give one last serving of fruit and then put it away or out of sight so they are distracted by it. Redirect them to the other foods if need be. They are toddlers though so you very well have some meals when they do that. Ideally, I’d prefer them to not sit on your lap, but I think you have some wiggle room. My biggest concern would be for this to turn into a habit, if you can avoid that I think it is okay occasionally. Thanks again! my daughter is only 1 year old and its very hard to feed her I’ve tried everything I could think of, she will just take 1 teaspoon and look away, I’m worried because she is now sick and vomit that little she ate! It is best to wait to try any real intervention until they are better. Is it possible for you to get additional help from a feeding therapist? If not, keep foods smooth and not too thick. 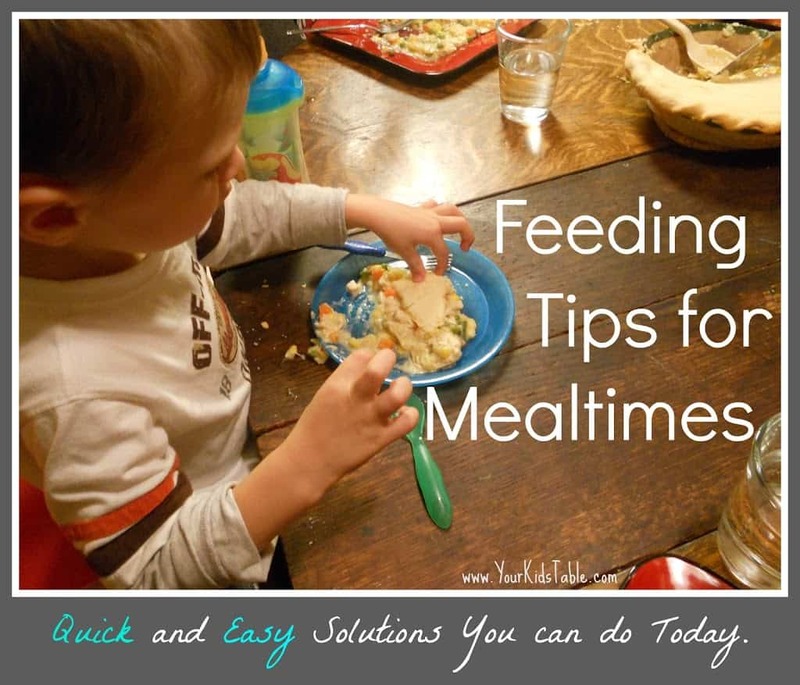 Keep meal time positive and follow the strategies in the eating basics tab in the menu bar. While I think your heart is in the right place, I think feeding your kids should not have to be so difficult. There are children in other countries who are starving and who would gladly take the table scraps that spoiled children just won’t eat. We are sending our children the wrong message when we allow them to grow so picky over food. I have five kids and if I allowed our dinnertime to be so persnickety and child-centered, I’d go bankrupt or be in the kitchen all day. This is not an all-night-diner. While I make every effort to serve things that my children like, I also serve many things that they don’t because they are healthy, affordable, and as mom, I know better than a two year old. I totally agree with you! However, as a pediatric occupational therapist I see many kids that have developmental delays and sensory processing issues that make it difficult for them to eat a varied diet. These issues can be mild and undiagnosed in many kids. The strategies I suggest are to get at the heart of those issues. Of course, the way that we as parents approach eating can also have a lot to do with it. Many parents get uncomfortable when their kid doesn’t eat at a meal and will start to cater to them. A lot of poor habits can take root. My hope on this blog is to cover a host of strategies to meet the needs of any kid that is struggling to eat. It is so prevalent in our society today and a major source of stress for many parents. Thank you so much for that. My son has autism and sensory processing disorder. When we go out to eat, people make comments about him being a bratty picky eater. There are certain things he CAN’T eat, not won’t eat. Certain tastes and textures cause him to gag and spit up. He just can’t handle certain foods. There’s a difference between picky eaters and problem feeders. I wish more people understood that. We always supplement him with vitamins and pediasure to make sure he’s getting the nutrients he needs. Thank you for chiming in! Kids on the spectrum and/or with SPD usually an extremely hand time with eating. I’m glad that you have found a system that works for your little guy and hopefully gives you some peace of mind! 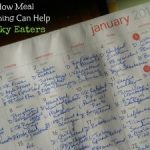 I have been meaning to write a post for some time on the difference between picky eaters and problem feeders- it is a huge difference! Amen! My child has SPD and people always seem to give me the lecture “what I serve is what they get”… So annoying. She will starve and become malnourished if she doesn’t have food she can actually eat. She will gag, spit, and even throw up, and its all out of her control. So nervous for kindergarten starting in 2 weeks! How will she handle cafeteria food? If I pack her a lunch will she get bullied for the types of foods she eats?! These are great tips! I enjoy following your blog…you always have great advice on feeding issues. Thank you! I enjoy you blog too! Great advice! Loving your posts, thank you!